Inspiration comes in strange places. 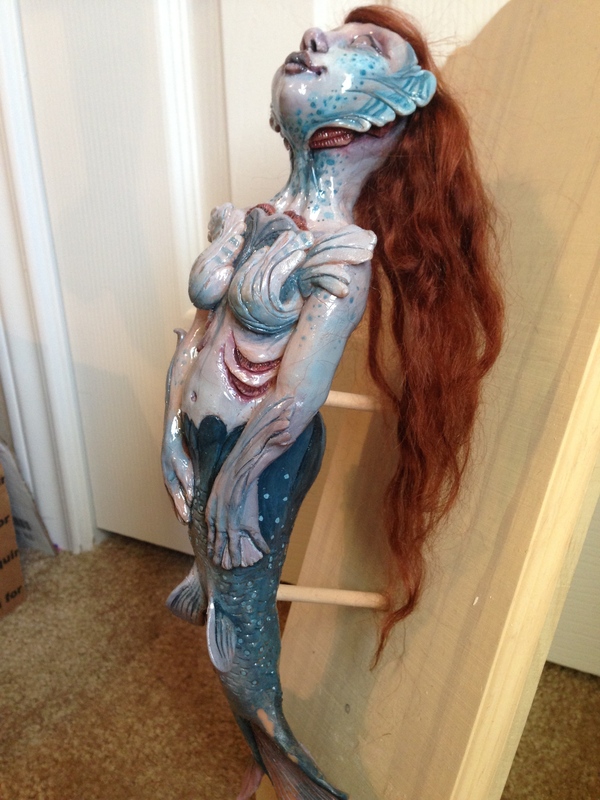 With the excitement of Austin Wizard Con looming, I have been playing with all kinds of ideas for the table display and the idea of little knick-knacks to show. 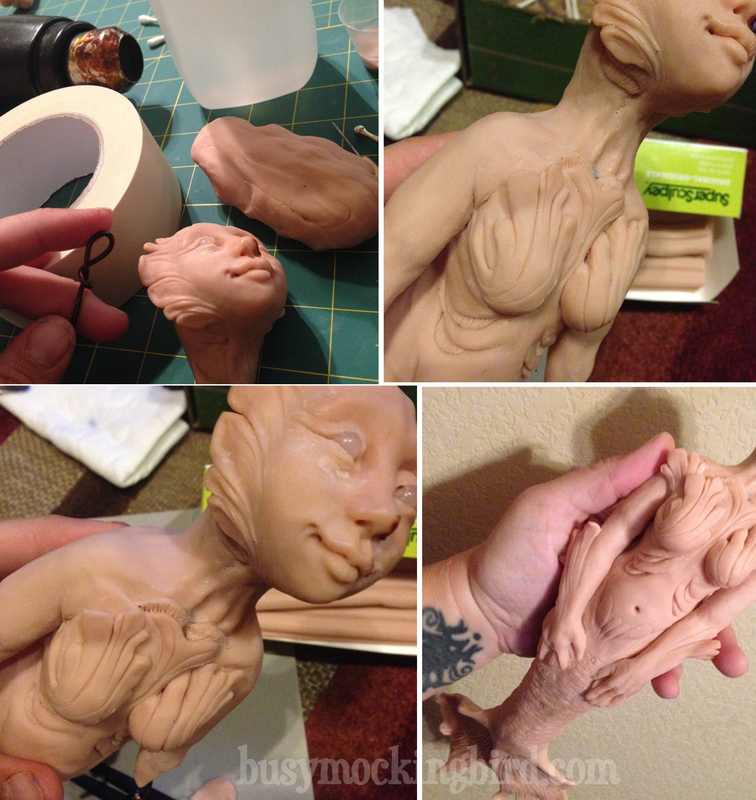 And since I follow a ton of very talented artists on Instagram, I was inspired by them to try something completely new for me: molding and casting. So I watched a few videos on YouTube, and now I’m an expert. 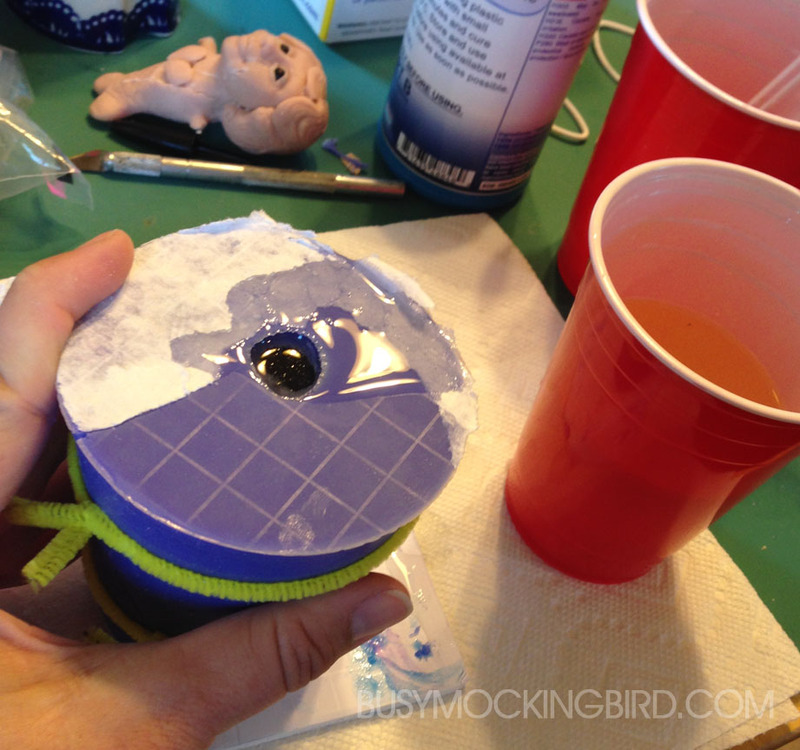 Step 2: Make a mold. I got my kits from a company called Smooth-On (who have TONS of great videos on their site). I won’t give you every little detail on this, since the directions are really easy (and on the box)…but the basic idea is mix This with That and pour. (Plus, if I told you everything, I’d ruin all the messy fun for you.) The main thing I learned during this step: make sure you mix it REALLY well. If you don’t, it doesn’t set right. I made mine from silicone rubber in a plastic cup. I nearly didn’t mix enough for the tail, but it turned out alright. You know that bit of instructions that you think, “Ah, that’s not a big deal, I’ll just sort of wing it”? Well, turns out sometimes they tell you those little tips for a good reason. 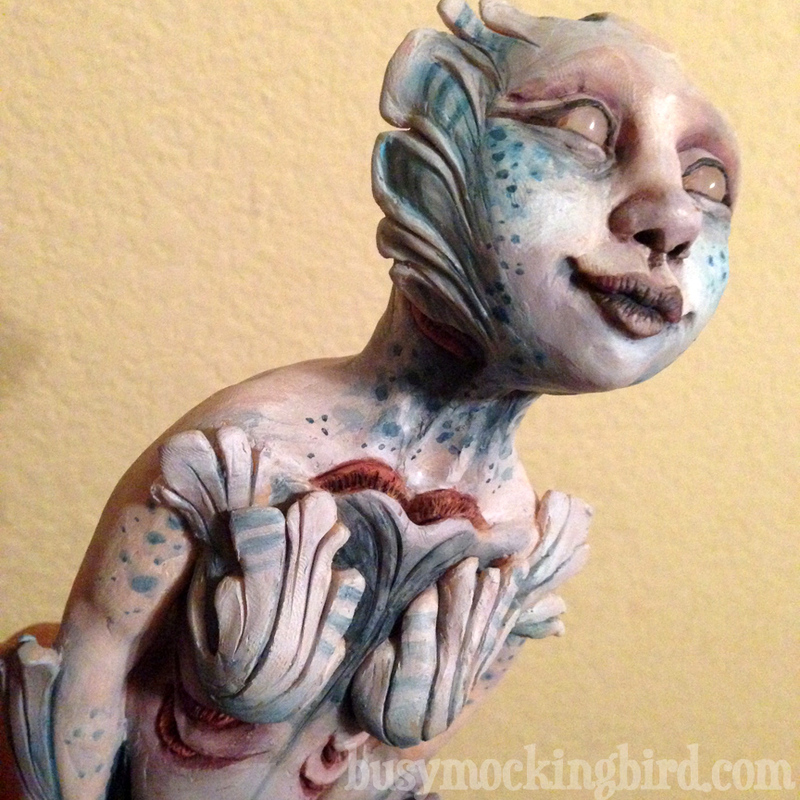 When I put my sculpture in the cup to mold it, I forgot to mark on the cup where the back side of her was. So when it was time to open her, and I “guessed,” I guessed wrong, and sort of sliced up her face. 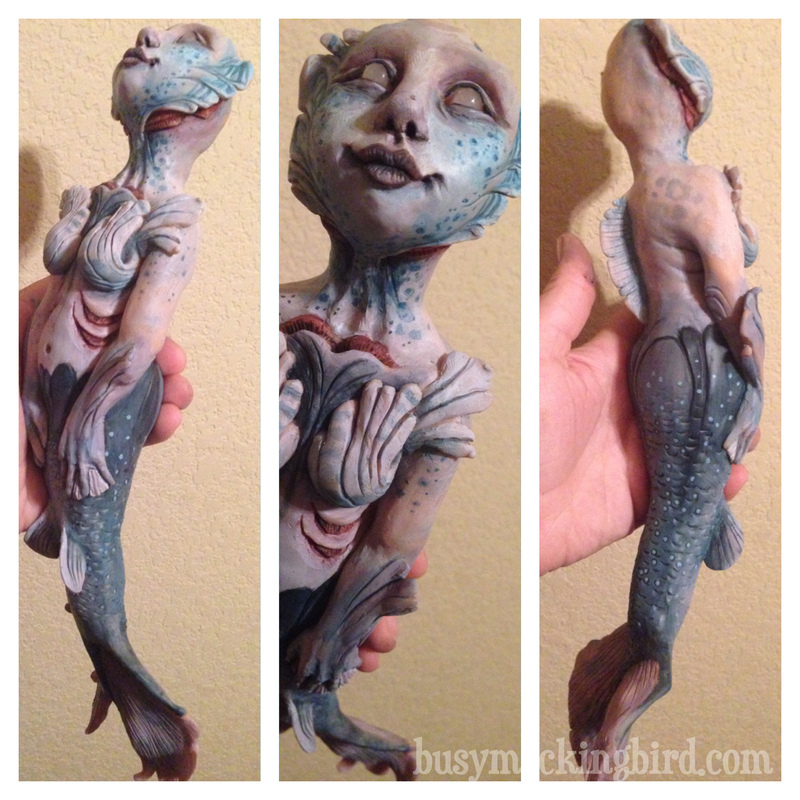 The stubby arms were apparently a little too weak for the whole process and broke off. 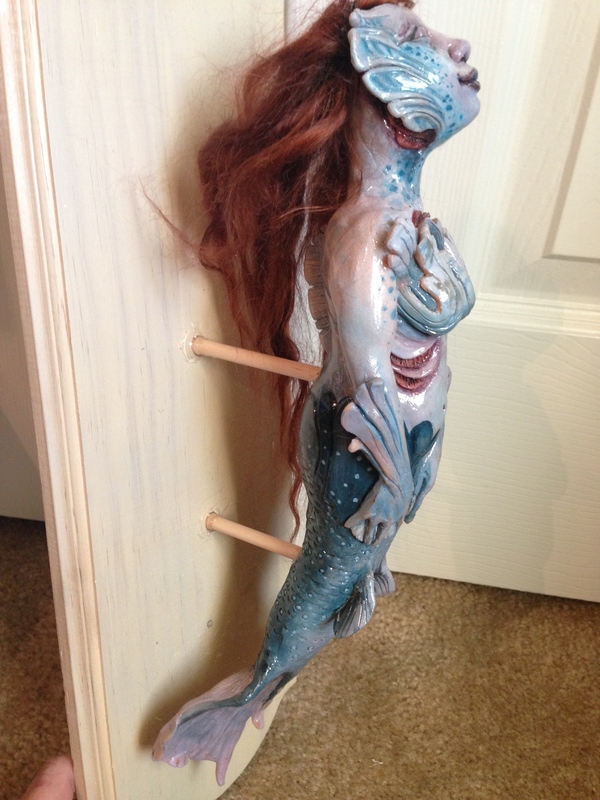 And the body crumbled because I hadn’t fully cooked her. 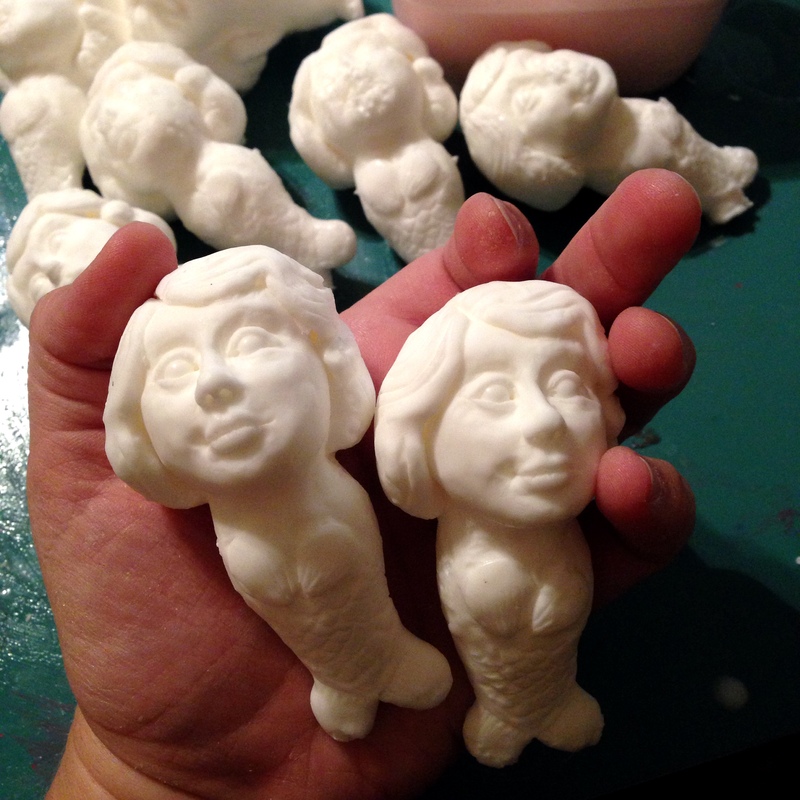 But the mold itself turned out fairly good. 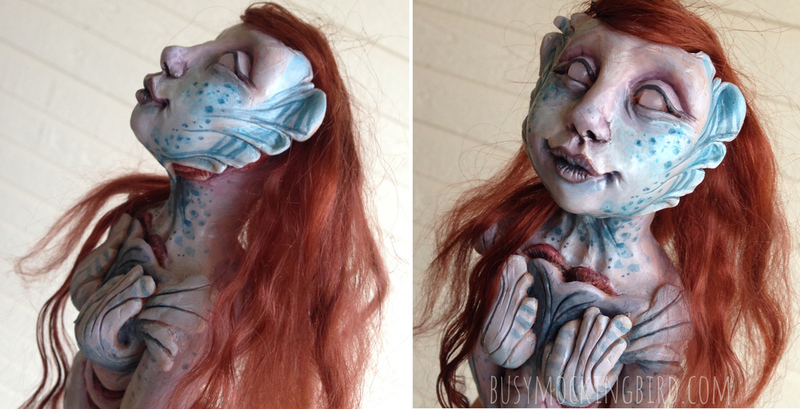 And Sculpey can be touched up a bit, so I patched her up and fully cooked her, and she was just fine. 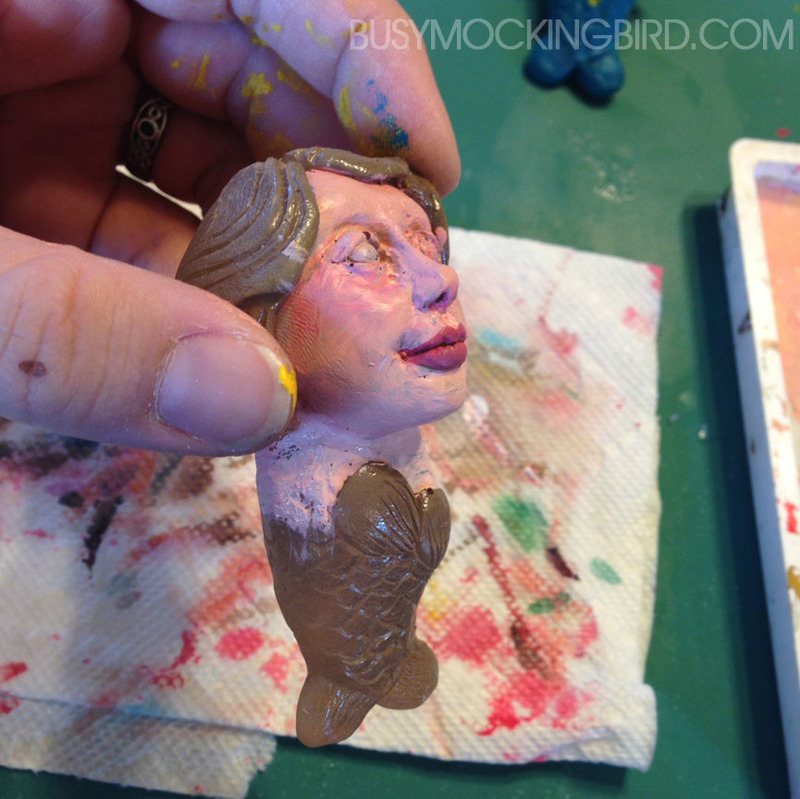 Step 4: Pour plastic/resin into the mold. 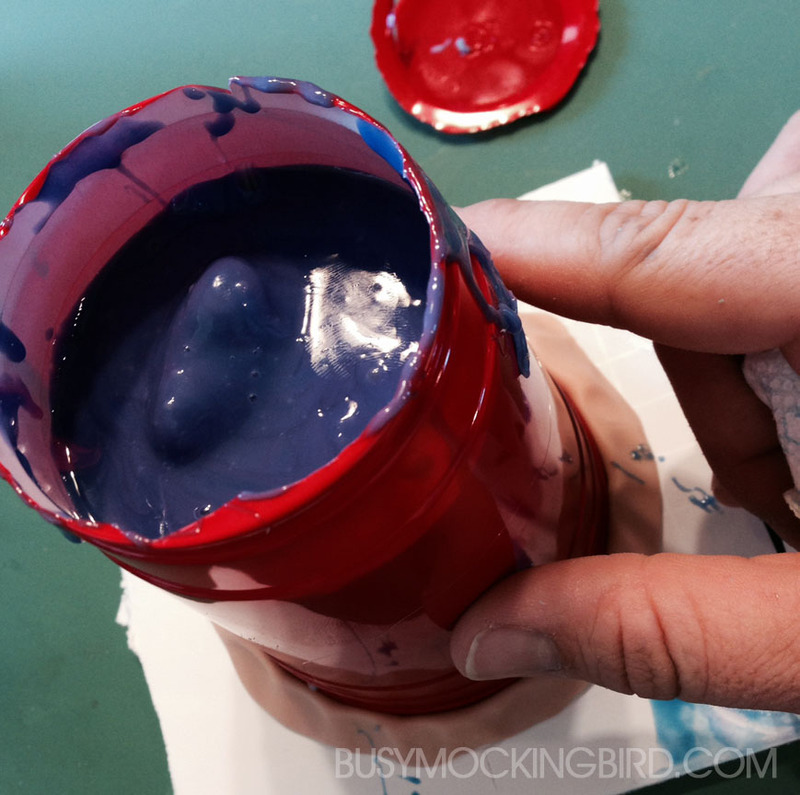 The first go-round, I tried a liquid plastic kit from Smooth-On. And along with my repeated advice of making sure you mix everything the right way, I’ll add a couple of pointers I learned: First thing is that it’s probably a good idea to wear gloves. Initially, I gave that bit of advice a big ol’ “Pshhhht, whatever.” But plastic nearly ALWAYS gets on your hands, and it feels super creepy, like when you get superglue on your fingers. Blecch. 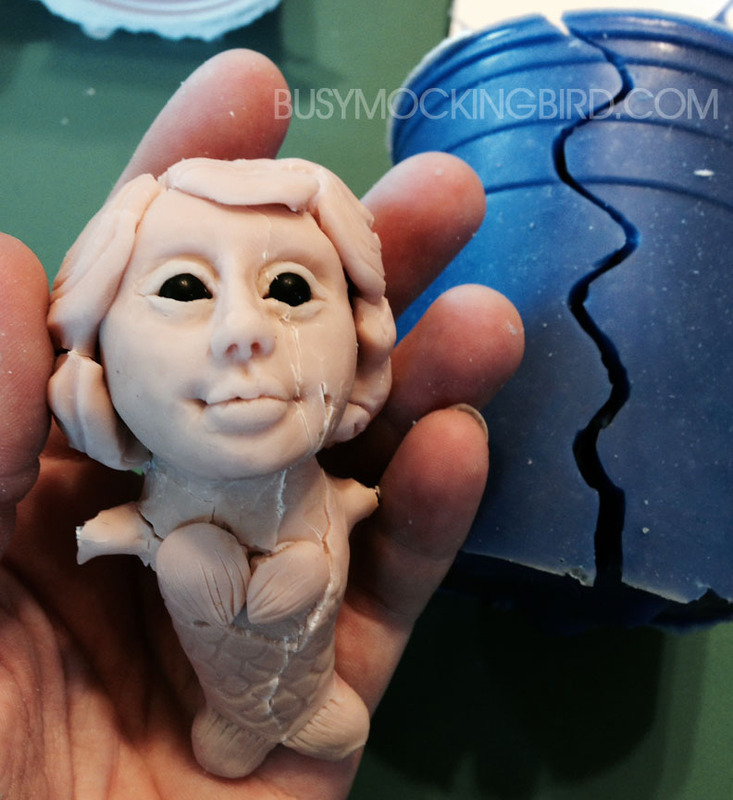 And later, when I tried pouring resin, I had a bit of a leak in the silicone mold (it was a different mold, and I had two “air holes”), and it leaked hot resin ALLLLLLLLLLL over my work table. Trust me, that’s not fun at ALL. So my bit of advice there? make sure you don’t have a spot in the mold that might leak. And lastly, GIVE IT TIME TO CURE. I’m very impatient. But hot plastic hurts. 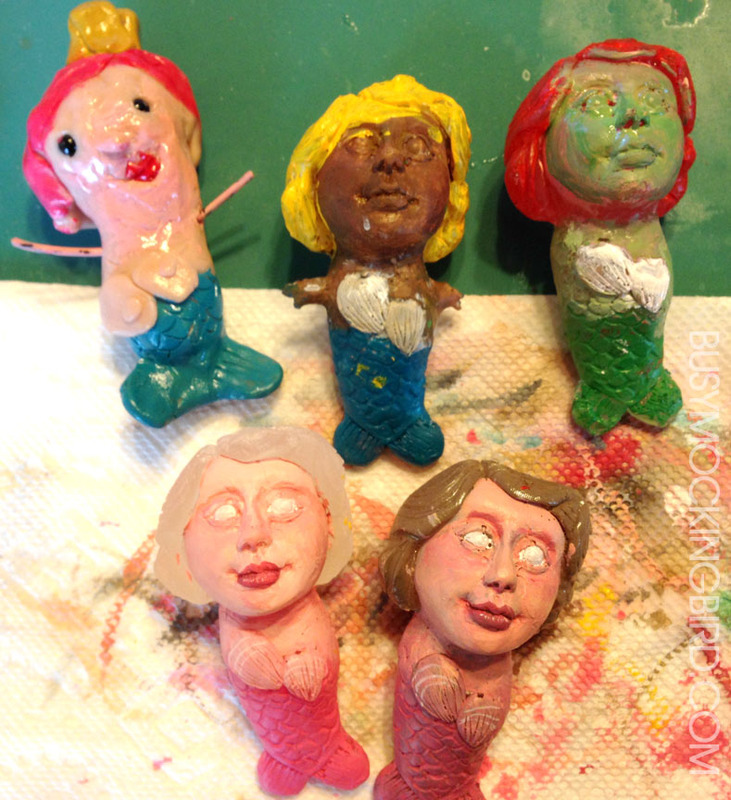 So with a handful of funky mermaids, I decided we should go ahead and paint’em up. Why not? And since they came out wonky, I let Myla have a go at them, too. 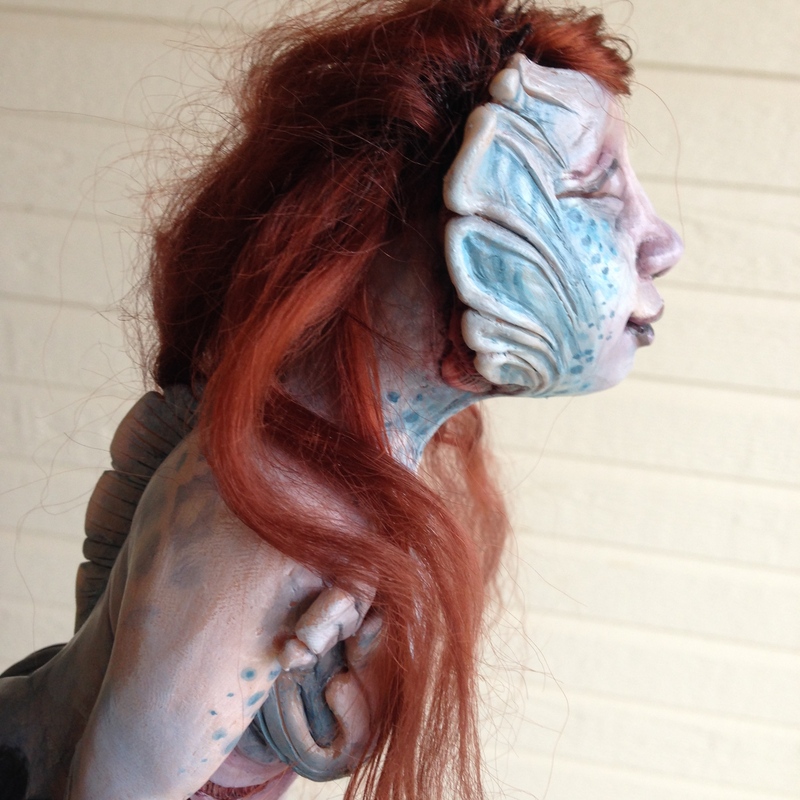 I had a little trouble painting on the actual plastic with acrylic paint. (Myla had no complaints.) I even tried a basecoat of brown primer for plastic, but it just didn’t look so great. Myla had an awesome time painting them, though. 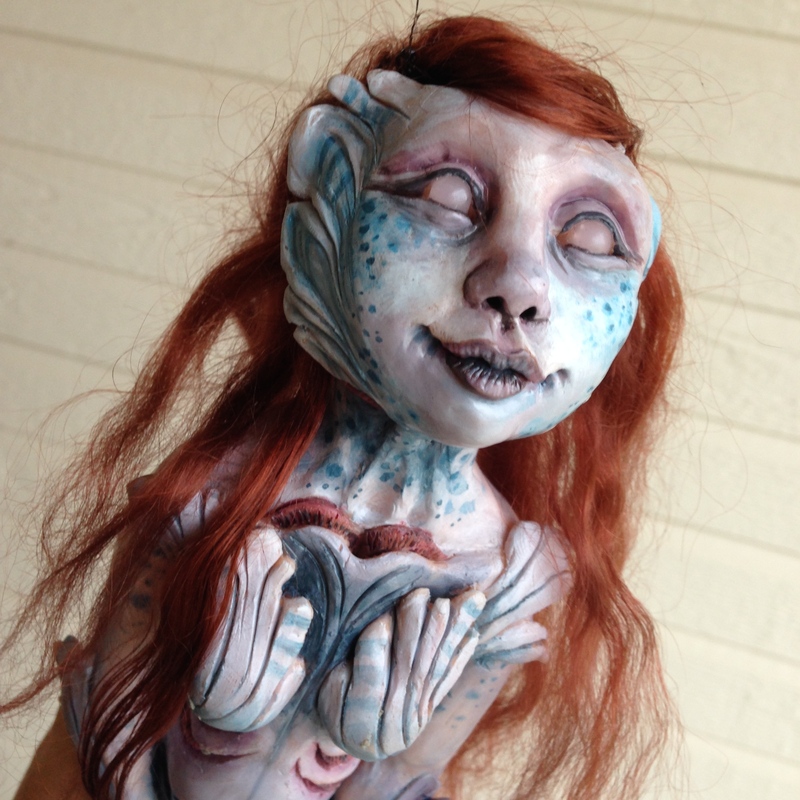 She painted her McStuffins mermaid, along with a yellow-haired one (modeled after a Monster High doll), and a green-skinned Ariel. 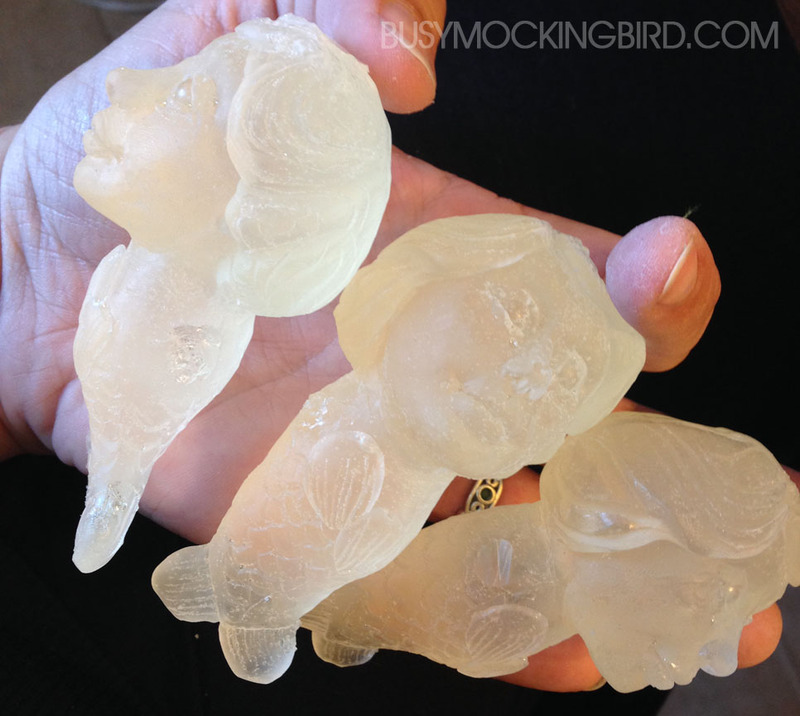 Later, after making the bubble-free mold, I tried casting in resin, instead of the plastic…and despite MANY failed attempts (note the mutant mermaid army in the background) I finally got some good ones! Apparently, again–the trick is very careful mixing. In my very limited experience, I’ve learned that if your mixture is off, it can do all sorts of wonky things to your cast. 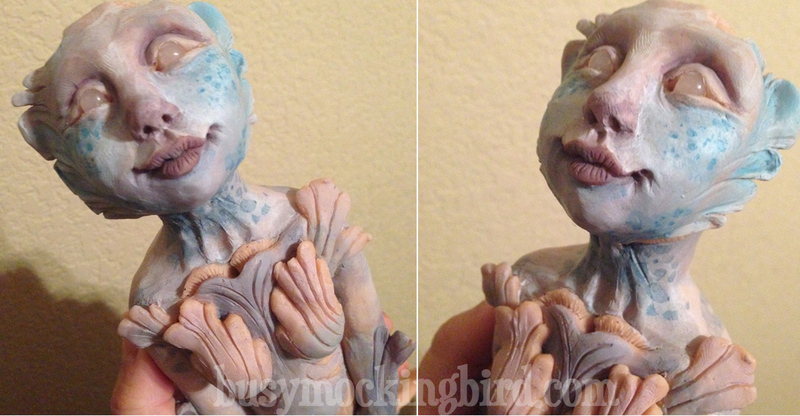 I haven’t tried painting these resin casts yet (I’ll try that later), but I’ll be sure to post the outcome! With new projects, there’s always a level of intimidation for me. 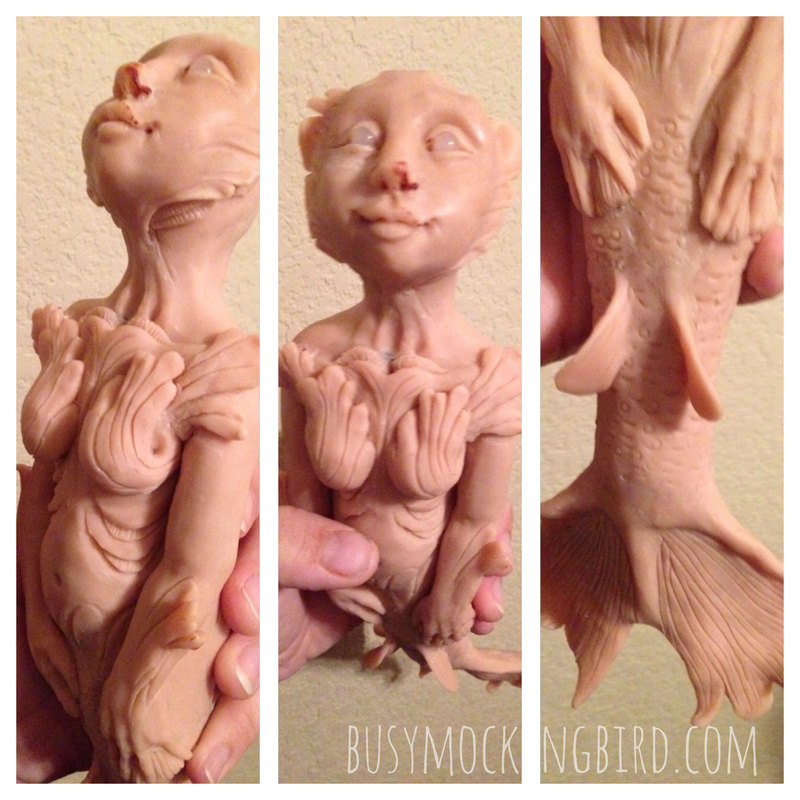 That casting kit sat in my art room for about 5 months before I actually got the courage to try it. But you know–when you do, it feels awesome to have finally figured it out! Even if you end up with an school of mutated fish-women, you can’t really consider it a failure if you’ve learned something. So jump in and try something new! I promise, it’s worth it. 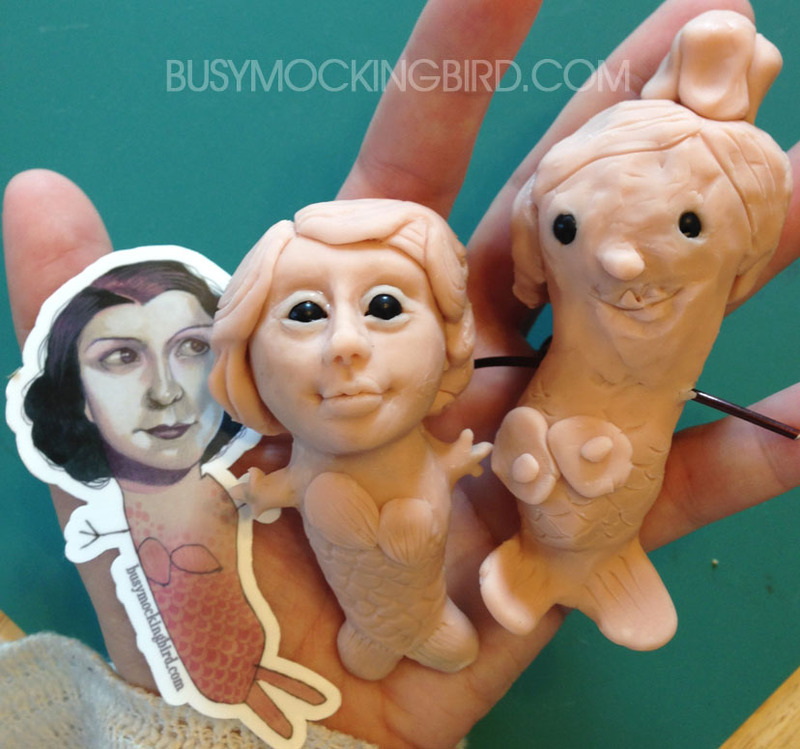 Wonky mermaids and all.